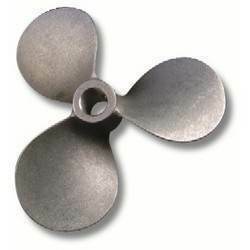 Owing to the wide experience of this domain, we are instrumental in offering Alloy Propeller to our clients. We are successfully meeting the varied requirements of our clients by providing the best quality range of Marine Propeller. Proper ventilation keeping fresh air flowing through passenger areas as well as the bilge, engine and fuel tank area is not only important for passenger comfort, it s essential for boating safety. When it comes to propeller technology, We knows what it takes to make the best prop and prop systems. We have been designing and building the best marine engines and drives available anywhere that can increase the performance of almost all marine engines. Backed by a rich industrial experience, we are actively committed in providing a world class plethora of Stainless Steel Propellers. Broadly treasured in the market owing to its fine finish, these are highly demanded. Moreover, these could be acquired from us at market-leading rates. 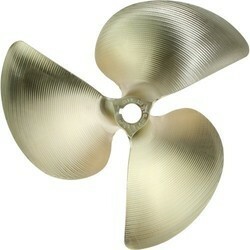 We are involved in present an exclusive range of Bronze Propeller For Marine Equipment. Our products are available in diverse specifications that meet on exact requirements of our patrons.